CURIO was established as a result of the accumulation of experiences and expertise in designing and producing furniture and home decorative items. Our products do not only have good design, but also have excellent quality. Wood is the main materials that we have carefully selected for creating quality wood products. Because we have special skills in wood working. We have continuously innovated our wood products to look more valuable in both appearance and touch. We intend to print out that the worthy craft products are not simply built up by any wood craftsmen without preciseness and steadiness. Our craft product are carefully built by the machines in our factory. These products not only look great but all pieces are built up with the precision. And the machines need to be controlled by skillful wood craftsmen. CURIO products will be used everyone as a part of daily life without any questions. So, we design CURIO products to be distinctly simple, unsophisticated and not over reformative. We believe that "Simplicity is the Ultimate Sophistication". We desire to produce furniture that is not merely art piece for display but can to be touched and used by everyone. Hence, our furniture is good function to use it as ease. SLAP Studio was established in 2007 by a group of people from a wide range of expertise; Creative, Design and Branding. At SLAP Studio, we create variety of design for product, furniture, decorative item or even commercial project to serve the various lifestyles with ingenious function and aesthetic approach. We also provide friendly design consulting services for customers by experienced designers with outstanding reputable awards and a promise to deliver valuable insight. is an epitome of us, ART. From American 60’s-70’s retro furniture to a contemporary industrial house fitings, we take on these classic style characteristics and create a completely new design with a carefully crafted modern craftsmanship. With our years of experience in manufacturing wood furniture, ART was created to fulfill our passion in many of the classic iconic furniture styles from each periods. Making this possible are our comprehensive research in the authentic characters of the style and professional skills as woodworker. We ensure our customer by standing for our reputation for producing high quality woodwork with excellent artistry. Caning is a method of weaving surface used for furniture. The term for the material, is derived from the peeled bark of the rattan stalk which is originally from a tropical area of the world and most commonly found in south east asia. For the new collection 2016, “Cane Collection” is designed by Atelier2+ and manufacturers by PODIUM factory, the long history and expertise in woodcraft company in Thailand. Atelier2+ creative design studio based in Bangkok. Atelier2+, architecture, art, and design studio, is found by Worapong Manupipatpong and Ada Chirakranont both graduated MA from Konstfack, Sweden. 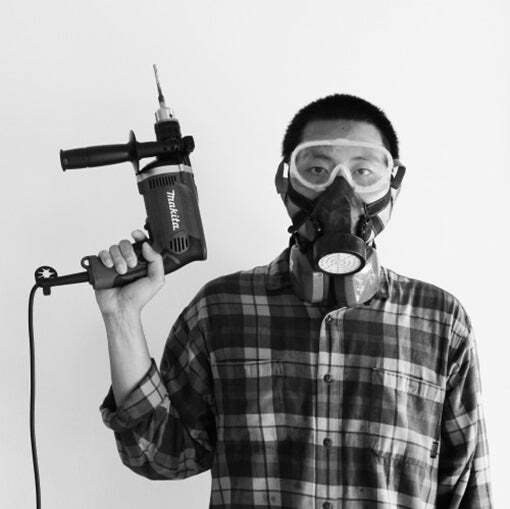 After working and experienced in design & architecture firm for some years, both studios were established in 2010. Atelier 2+ have been working in many projects in different fields since 2010. Our team members are from practice, research and academic field. We are positive and enthusiastic. After 10 years’ experience in architectural, art and design industry we have experience in different kind of projects from retail, hotel, pub & restaurant, residence, office, exhibition. We are interested in different form of design ranging from product design, interior design, and architecture. All scale and details are matter for us. Our designer team are from different field of design such as spatial design, installation art, product design, textile design, service design and architecture. We are also collaborate with other design firm and design brand both locally and internationally. We love to design and we have passion on furniture. We are happy to present our own idea and inspiration by Hard Ora to your home. Hari Ora comes from our intention that to support basic needs of comfortable living and simply beautify which we present by minimal style by daily use. Our core objective is to be user friendly furniture by chamfering the edge, creating good consuming our stuff. Even you use it alone or with family. We make if craft and details to make the strong and perfect for long lasting furniture. We select wood because wood is both strength and flexibility for structure works which will show natural feeling and touch. Every single reasons above bring perfect product to every home. Your happiness is ours. Please let us be one part of your happiness. Eazy is a furniture design and manufacturer. We provide a high quality home furnishing with a reasonable price. Our products can fit any space in your home, your style, and your budget. Our style is based on simplest and minimalist design, we made from quality grade timber with the wooden pattern which different from the typical wooden furniture. Multi-Purpose Furniture which come from the idea of versatility. With a simple but in a chic body. You can make an adjustment for the intended use. Emphasizes that actually work and function whether living in houses, shops, restaurants, office furniture, we can match your furniture. Space Saving Furniture designed which suitable as furniture for small apartment or the homes with limited space. 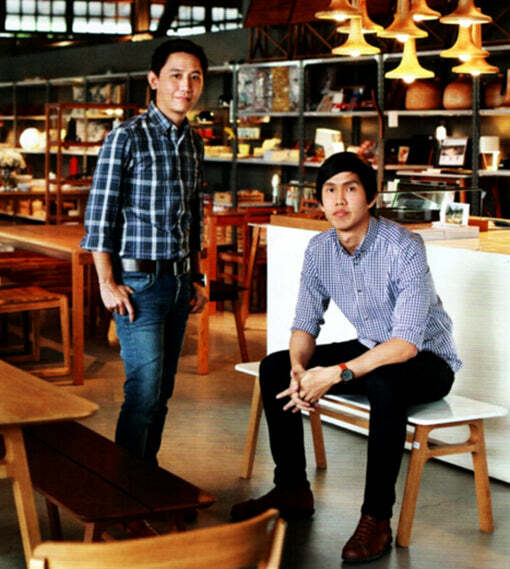 ALLTAG is a collaboration of young designers who are passionate to push boundary for contemporary design. ALLTAG launched its first collection in 2014, featuring natural materials with simple functional and refined design. ALLTAG has been pursuing new aspects of design with uncompromised quality to create interiors, furniture and accessories that and functional and inspiring ALLTAG pays close attention to details from scratch to production to ensure functional and aesthetic design that support human’s daily life which has been our inspiration that keeps us inspired and motivated. - 1of 30 Finalist from Designboom competition "INSIDE OUTSIDE"
- Tiff awards 2012 // Bangkok Thailand. - Winner 1 Builder smart award "work & play"
True meaning of residential and commercial furnishings has become deeper than its functionalities. The meaning is now emotionally related to aesthetics and is indeed part of our identities. We believe that unique identity is much further than just WHAT it is. The uniqueness must embrace a journey of HOW and WHY all together, which then turning into a true identity. Eqologist aims to offer decorations and furnishings that do not only present forward-thinking design, but also delicately planned from the first step of process. We commit to be attentive to WHAT we design, HOW it would be produced and WHY the material is being used, without compromising on functionality. Until we finally have great crafts … until it is a GENUINE IDENTITY. 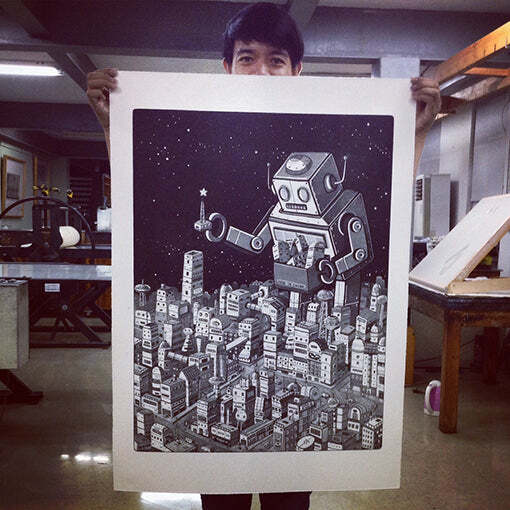 Industrial design, Faculty of Architecture at King Mongkut's Institute of Technology Ladkrabang (KMITL). - Selected by the Philippine’s government, CITEM, to be one of the dynamic international designer of 2013 for Global Designer Exhibition. - A showcase with a French designer, Arik Levy, in Manila. - A special collection with Kenneth Cobonpue. - Exclusive collection for Absolute Vodka Designer 2014. 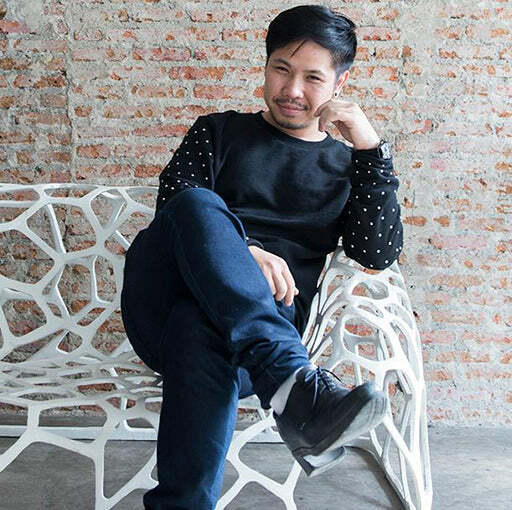 - Curator and founder of young-blood designers named Asia Talents. 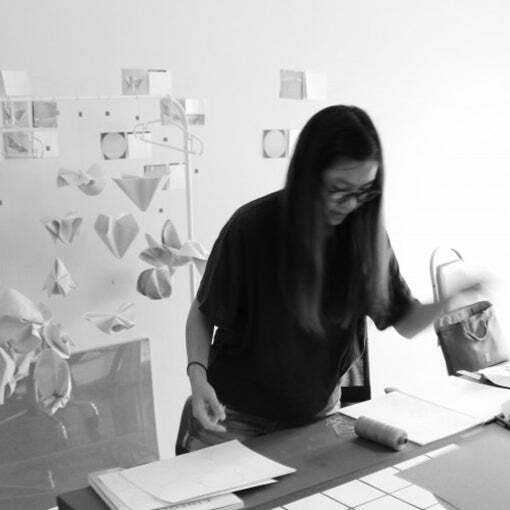 The community of contemporary Asian designers who merged the knowledge of local idea and new technology. 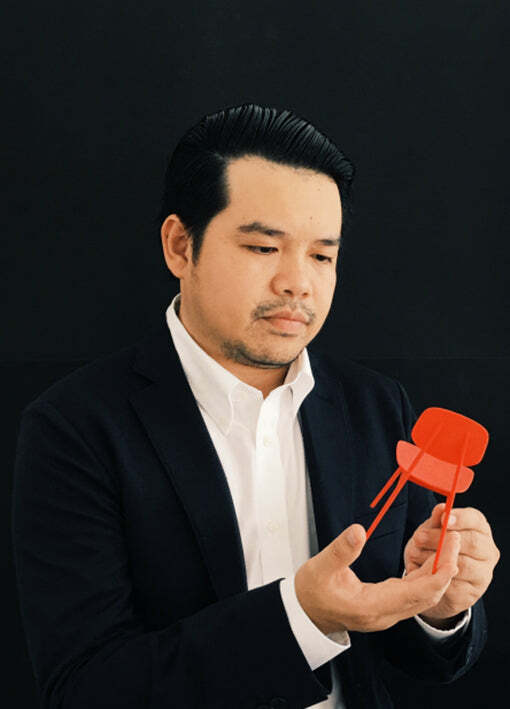 - DEWA: Design from Waste of Agriculture supported by Thai government.